Cavities can be an enemy to your beautiful smile and your desire to indulge in desserts. A cavity is decaying of the tooth. Our oral hygiene levels influence tooth decay, foods consumed and our everyday lifestyle. Heredity also plays a role in how susceptible you are to tooth decay. Cavity or tooth decay or caries appears in the hard part of the teeth which is found as small holes or openings. A couple of factors causes this combined such as frequent snacking, not cleaning the tooth well, sipping of sugary drinks, bacterial deposits in teeth. This can affect both the coatings of the tooth such as enamel (outer layer) and dentin (inner layer). What are the types of Cavities? A cavity is mainly decaying of the tooth. Our oral hygiene levels influence tooth decay, foods consumed and our everyday lifestyle. Heredity also plays a role in how susceptible you are to tooth decay. Coronal cavities- built on the chewing surfaces or between teeth. Root cavities- with age, gums recede leaving some parts of the tooth exposed making them susceptible to cavities. Recurrent cavities- they form around existing fillings and crowns because of their tendency to accumulate plaque which leads to tooth decay. Cavities are more common among children, but adults are also at risk, depending on their oral hygiene levels. Only your dentist can tell for sure if it is a cavity because they develop below the tooth surface. The bacteria consume the sugars and secrete acids that destroy the tooth as they eat into it. As the enamel is eaten away, after a while, the cavity is formed. Depending upon the extent and the location of the decay the signs and symptoms of the cavity can vary. There can be no symptoms when it is in its beginning stage. As it gets worse by becoming larger the following symptoms may occur. The bacteria that reside in your mouth will turn to acids when the food that includes carbohydrates such as bread, milk, fruit, cereal, cake, soda or candy sticks on your teeth. The bacteria, food, saliva, acid, and debris will combine and become a plaque like material, and it then clings to the tooth. These acids in the plaque will dissolve with the enamel and creates cavities or holes. The development stages of the cavity are mentioned below. These are one of the worlds common health issue that is to be treated well and if not that can be larger and can affect the other deeper layers of our tooth. These are mostly found in teenagers, children, and even other adults. Limiting sugar intake is also very important. Though children love sweets and candies, put a limit on the number of candies or chocolates the child is allowed to eat. Do children have a higher risk of getting Cavities? 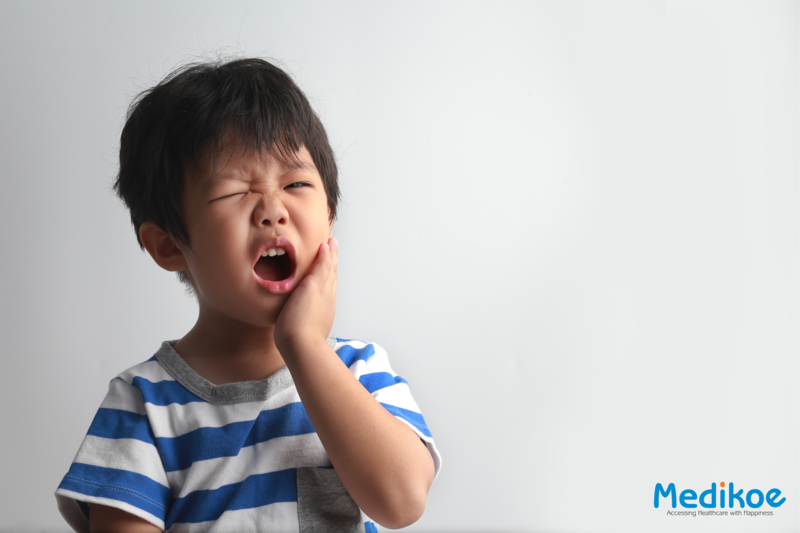 Cavities can affect people across all age groups including children. Baby teeth can easily get cavities and other dental infections if oral hygiene is not maintained. The fact that most children have a sweet tooth increases the risk of cavity formation even more. It is hence essential to take proper steps to prevent early childhood cavity formation. Do people suffering from diabetes have a higher risk of Dental Cavities? People with diabetes have a higher concentration of sugar in their body. This increases the risk of tooth decay, as more amount of acid is formed due to higher sugar levels. Hence, people with diabetes are at a significantly higher risk of cavities as compared to others. Poor oral hygiene practices and an unhealthy diet can quickly lead to cavity development in diabetics. Hence, people with diabetes should take extra care when it comes to oral health. Talk to your doctor for more information. You can even find one here on Medikoe. Find an experienced and certified healthcare specialist near you on Medikoe answer all your questions.